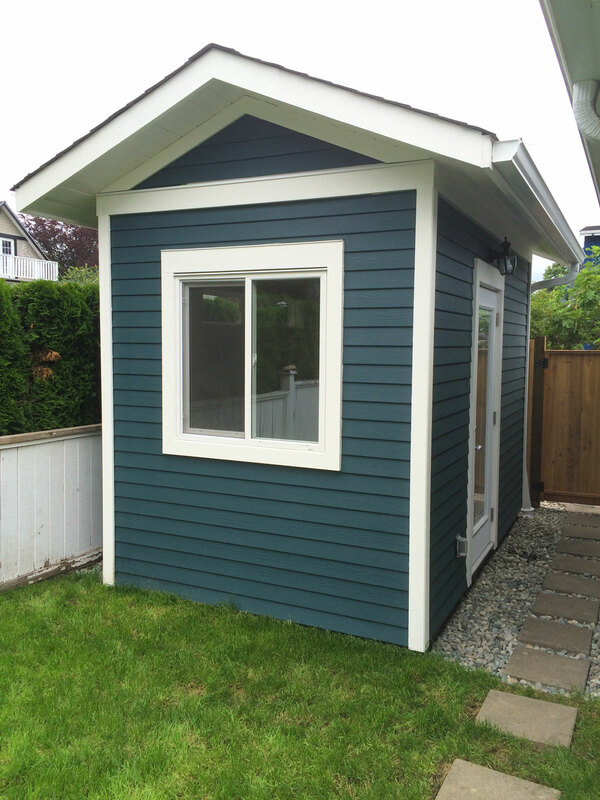 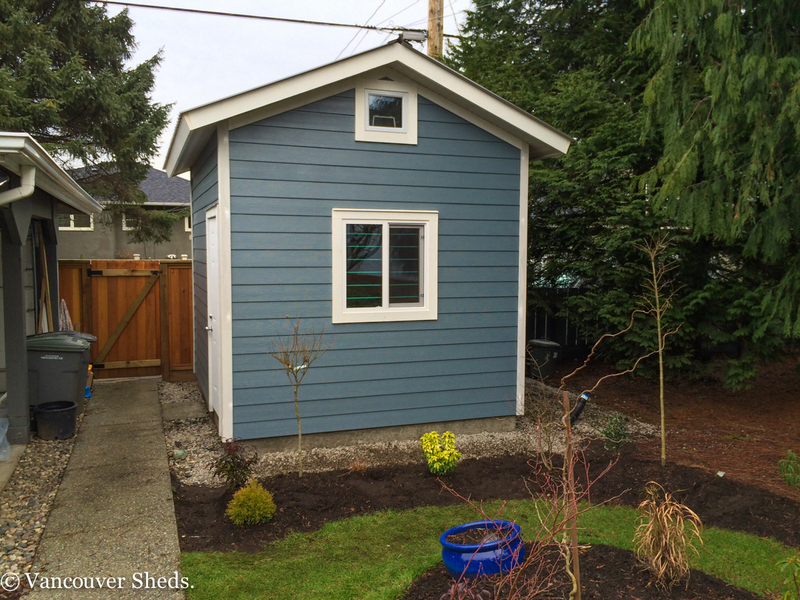 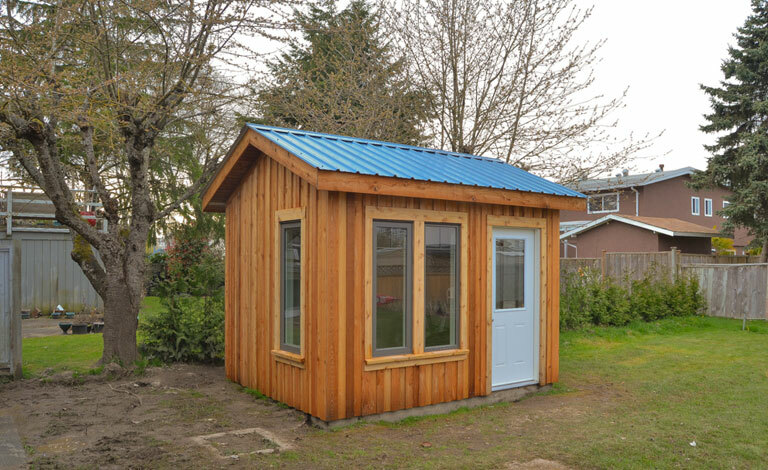 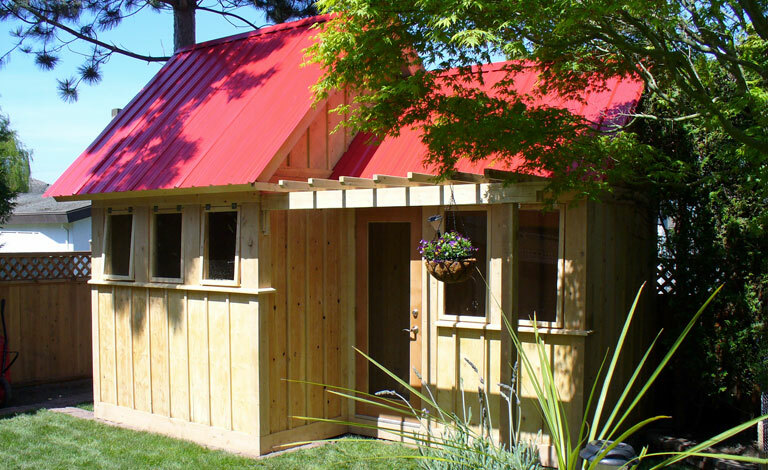 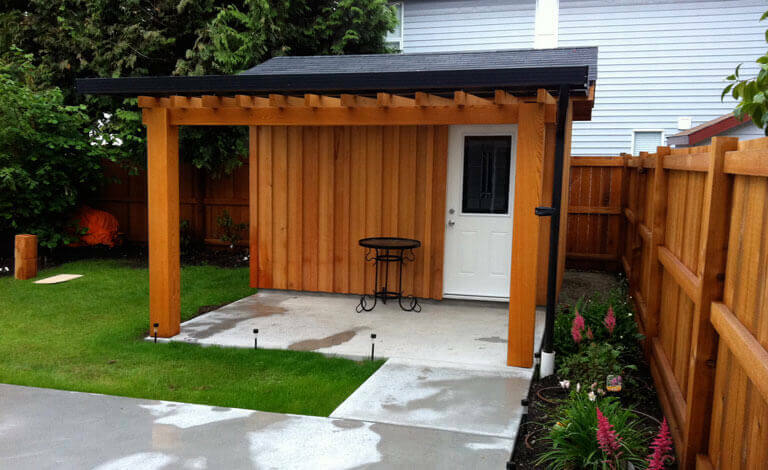 This shed is a great example of our popular studio design. 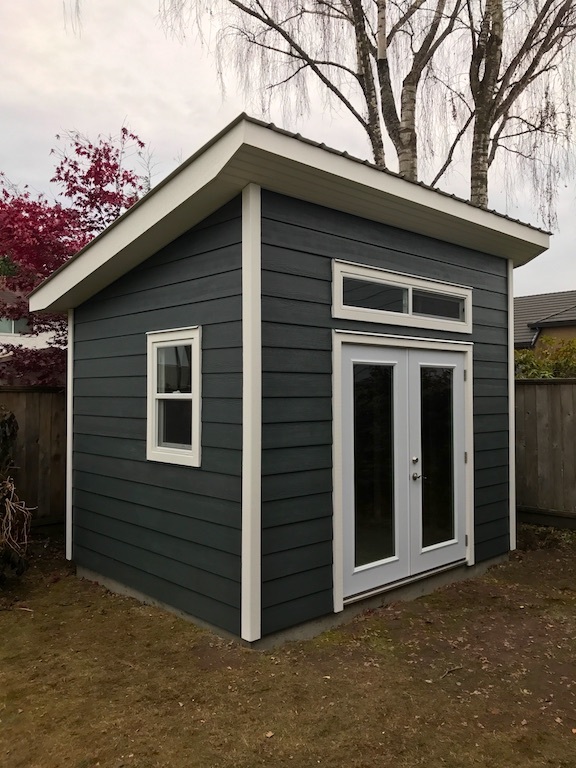 This studio is a favorite of artist’s, hobbyists, as the large doors and loft windows provide a great deal of natural light for the owner while they are working inside the shed. 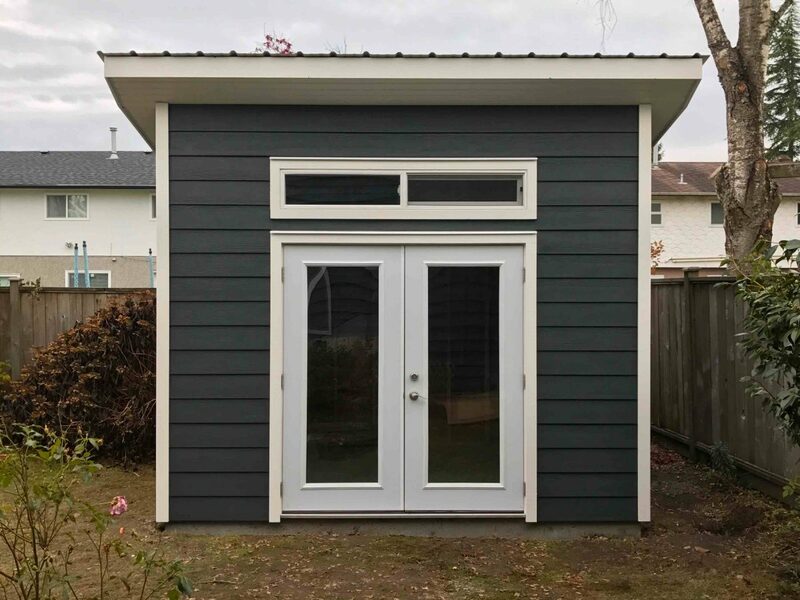 Our most recent build of this shed was built for an accountant who wanted a well lit space for his working environment. 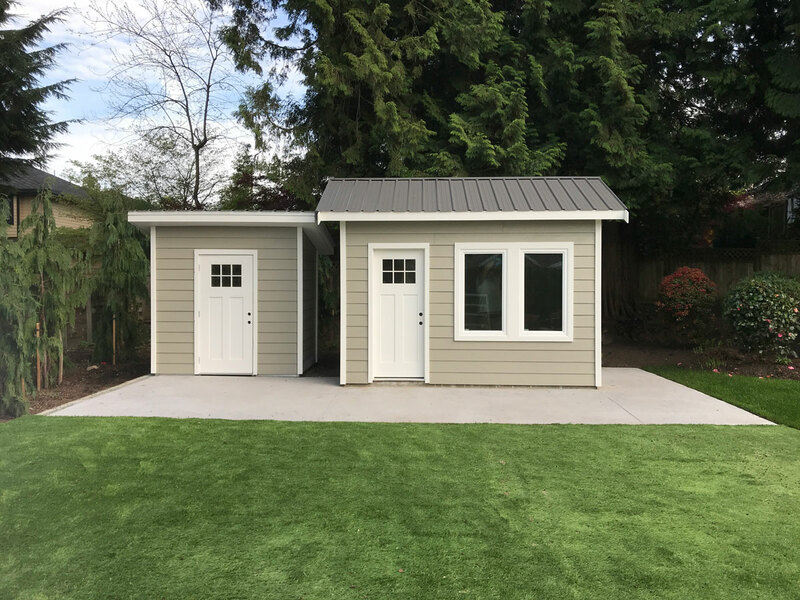 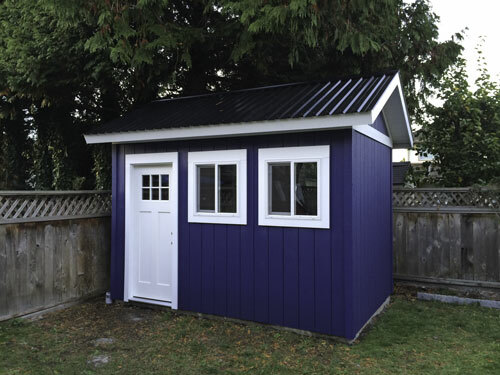 This shed features a metal roof, double french doors, iron grey hardi siding (fibre cement), with contrasting white trim.